Large Family Home with Everything You Could Need! Check out this Bonita Springs Home for Sale at 24709 Rodas Drive. 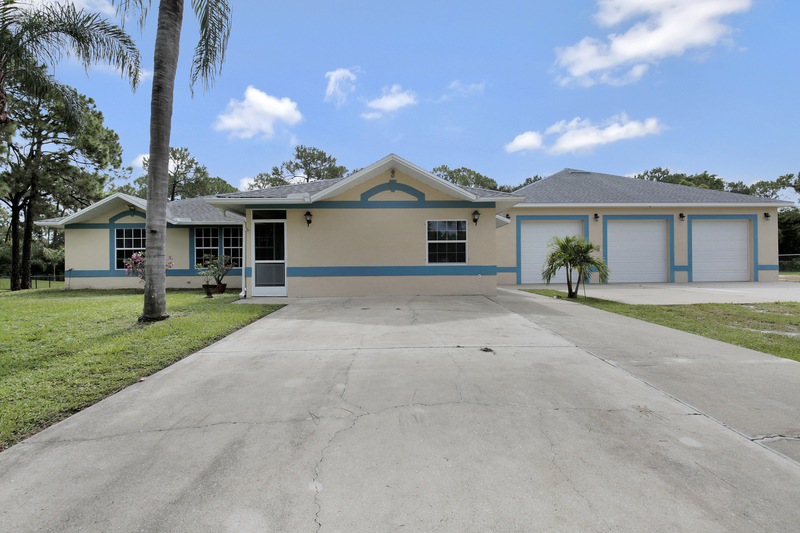 This is the perfect oasis home for a business owner or a retiree that does not want any HOA dues, but wants to be close to all the amenities that Southwest Florida has to offer. It is perfect for the lady that loves to plant flowers and maintain them and it is perfect for the gentleman that enjoys working in his garage. It offers solid surface counters, tile, wood like, and carpet flooring. Large Great Room! Oversized lanai where you can sit and enjoy a glass of your favorite beverage and the sounds of nature. Property is completely fenced with a gated circle driveway. It also comes with a 125′ Zip-line where you can watch the children or grandchildren zipping through the trees. On top of all that, there is a 2500 square foot detached garage with (4) 10′ bay doors, 12′ ceilings. Plenty of storage above and a full workbench. It has 2 full bathrooms inside the garge with 700 square feet of garage is finished living quarters built to hurricane standards (hurricane glass, reinforced walls). The perfect mother-in- law suite or guest quarters. What more could you ask for…Call us today to see inside this Bonita Springs luxury retreat! Schedule your Private Viewing of this amazing home today! Would you like to see more information on this Bonita Springs Luxury Retreat?